Made with organic ingredients, gluten free, dairy free, raw and vegan. Pimp My Salad have introduced a smokey coconut bacon to liven up your salads, stir fry’s and entertaining platters. It’s totally meat free, using crispy coconut flakes flavoured with tamari, sweet paprika and thyme. By dehydrating the coconut for 14 hours, all nutrients and vitamins are preserved. 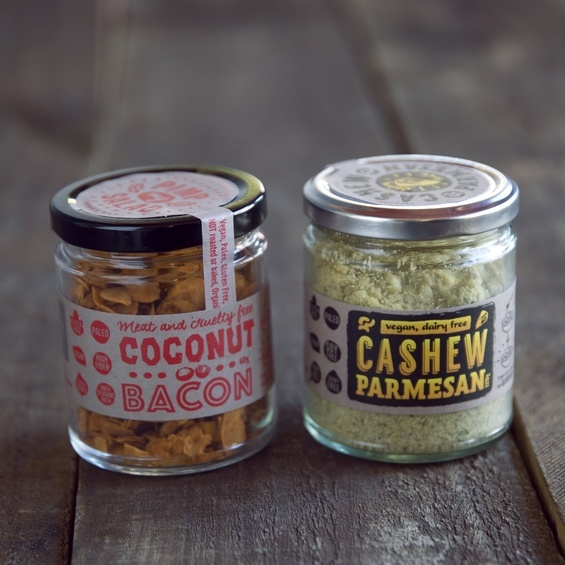 Vegans and non-vegans will love these jars of heaven!